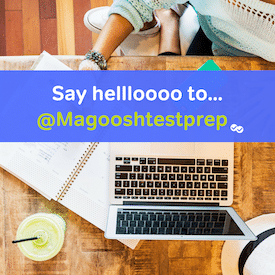 There is a good overview of what content is covered on the MAT, test taking strategies, and information about MAT online practice tests. The bulk of your information on these topics should actually come from the Official MAT Study Guide (another short read and great reference!). However, the candidate book has a great condensed chart of the content areas (pg. 5) that can be really helpful when you’re planning your studies. It’s definitely a page worth printing and keeping with your other study materials. Everything you need to know about how to register for a testing center is listed in this section (pg. 7). The MAT is offered in very few places outside of the U.S., and for students located more than 100 miles from the nearest testing center (most of Asia, for example), the process of setting up an “Alternative Testing Center” is listed on pg. 19. Something students should take away from this section are the guidelines listed on pgs. 7 to 10. Any questions you have about what to bring on test day (like identification) or what materials you will be allowed to have with you in the room are answered here. This section gets into the specifics of how an MAT exam is scored. You get an overview of raw scores, scaled scores, and percentile ranks. You also get a detailed review of how you will select which schools will receive your score report, how many schools you can select, what happens if you choose a “no-score” option, and an example of what your actual score report will look like. If you’re interested, there is also a lot of information on the methodology behind the scaled score and how Pearson will use it to compare you to previous test takers. For those students who normally need accommodations during testing, this information is contained in the booklet on pg. 22. As you may know, accommodations require additional paperwork; if you are in need of accommodations, be sure to read this section early on in the test registration process so that everything is in order by test day. This is just a quick rundown of what you will find in the MAT Candidate Information booklet. Don’t forget to actually read it!